Coconut oil has quickly become one of my favorite products to use, not only for cooking and baking, but for health and beauty as well. What makes it so special? Keeping reading to find out! Coconut oil is mainly composed of lauric acid (a medium fatty-acid chain). There are numerous health benefits associated with lauric acid consumption which include antiviral, antibacterial, anticancer and immune-boosting effects! Both refined and unrefined coconut oil contain the same amount of lauric acid. Unrefined coconut oil, however, is richer in phytonutrients (powerful antioxidants) than refined coconut oil. 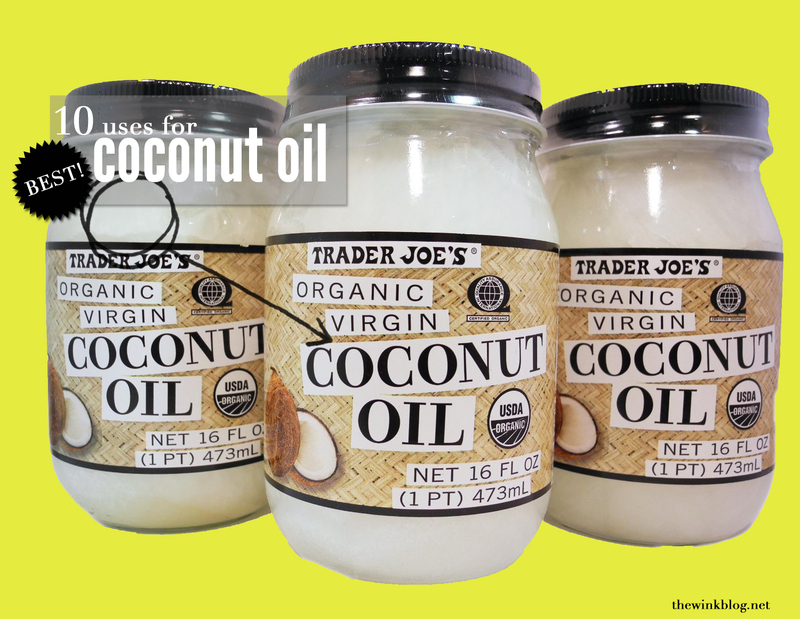 The phytonutrients in the oil are damaged by the bleaching and heating process used to produce refined coconut oil. Therefore, unrefined (or virgin) coconut oil consumption has more health benefits. Makeup remover: Instead of shelling out cash for drugstore makeup removers, try using coconut oil. 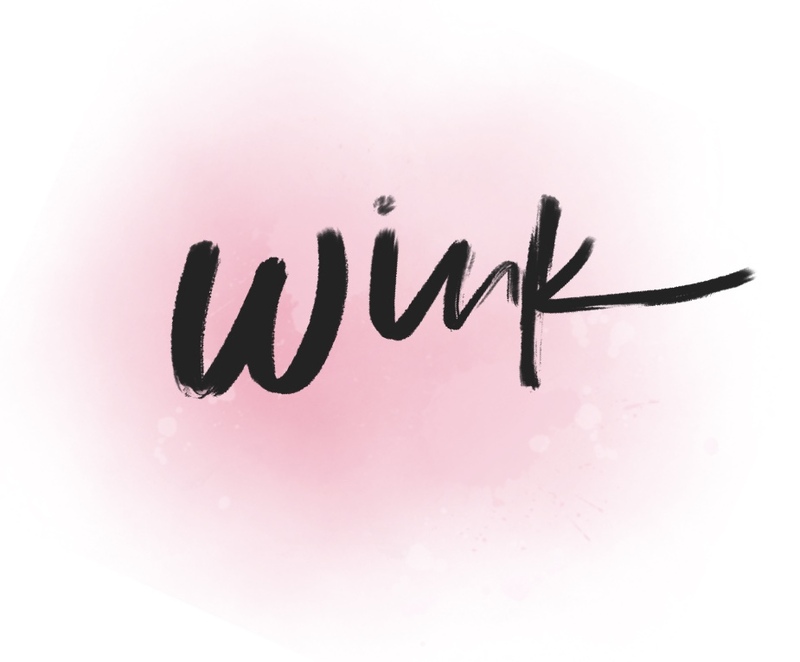 It dissolves even the most stubborn waterproof mascara (looking at you, They’re Real!) and is very gentle on sensitive eyes and skin. Massage a fingerful into skin before hopping into the shower. Allow to work its magic for a minute or two before rinsing off and washing your face normally. Facial moisturizer: Many people are still wary of putting oils on their face (especially people who have struggled with acne). Coconut oil, however, is known for its antibacterial properties and can actually work to kill acne-causing bacteria. It’s a great, inexpensive daily facial moisturizer – just don’t forget to apply sunscreen as well! Body lotion: Coconut oil also works well as a body moisturizer, absorbing quickly into the skin without leaving a greasy residue. Use it daily to help heal wintery rough elbows, scaly knees, and cracked feet! Mouthwash: My personal favorite way to use coconut oil is as a mouthwash (also known as oil pulling). Every morning on an empty stomach, allow a tablespoon of coconut oil to melt in your mouth and then gently swish and strain the oil through every crevice. The antiseptic properties of the oil dissolve bad-breath bacteria and microbes while whitening teeth and strengthening your jaw. It’s also thought that oil pulling clears the lymphatic system, sinuses, and aids in digestion. I’ve been oil pulling for a few weeks now and already notice my teeth look whiter and my breath is fresher! 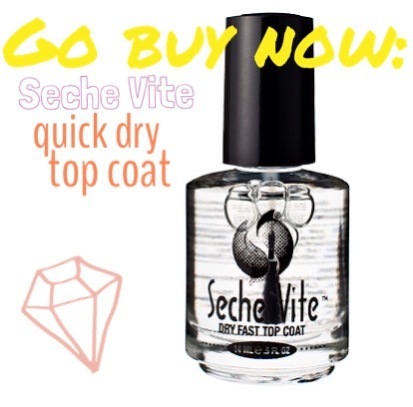 Cuticle oil: No need to drop big bucks on fancy products when one multipurpose household item does the trick. Massage into cuticles before bed every night and your nails will grow healthier and stronger (and watch hangnails disappear). Butter substitute: If you’re looking to cut down on your butter consumption, coconut oil makes a great healthy alternative. Swap out butter for coconut oil in any baking recipe and you won’t notice a thing (it’s a straight 1:1 substitution)! Coconut oil is one of the few oils that is a solid at room temperature (like butter), so it won’t alter the foundation of the recipe. Leave-in hair treatment: Try a leave-in hair treatment with coconut oil. Warm some oil in a microwave and saturate dry hair from root to tip. Clip hair up and cover with a shower cap for 30 minutes or more. Rinse out and shampoo normally. Olive oil substitute: Coconut oil is also great to use in place of olive oil when cooking. Refined coconut oil has a higher smoke point (450º) than extra virgin olive oil (375º), so it’s less likely to burn while cooking. You’re also less likely to set the smoke alarms off… no? Just me? Sore throat remedy: Sore, scratchy throat? Melt a teaspoon into a hot cup of tea. The oil coats and soothes while the antiseptic properties fight infection and kill bacteria and microbes that may be causing your sickness. Dry scalp treatment: As you’ve probably guessed, coconut oil works wonders on restoring lost moisture on the skin and hair. The same is true for the scalp. Use it as a dry scalp treatment, massaging into scalp once a week and leaving for 30 minutes. The scalp massage will also increase blood flow and promote hair growth. 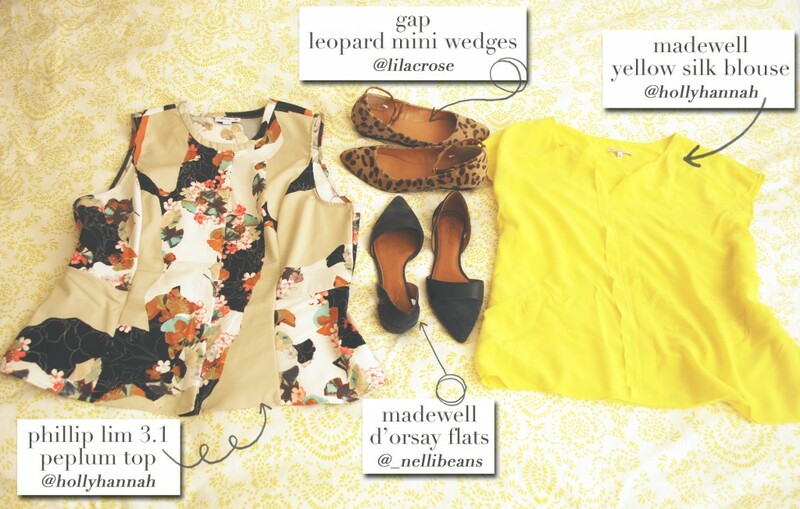 This list is just the tip of the iceberg. 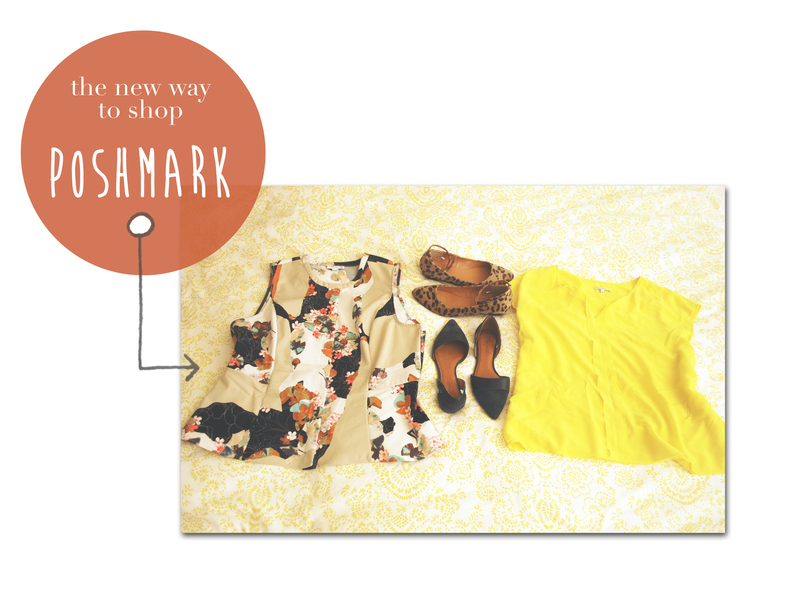 There are so many more ways to use this amazing product! What’s your favorite way to use coconut oil? Let me know in the comments section below! 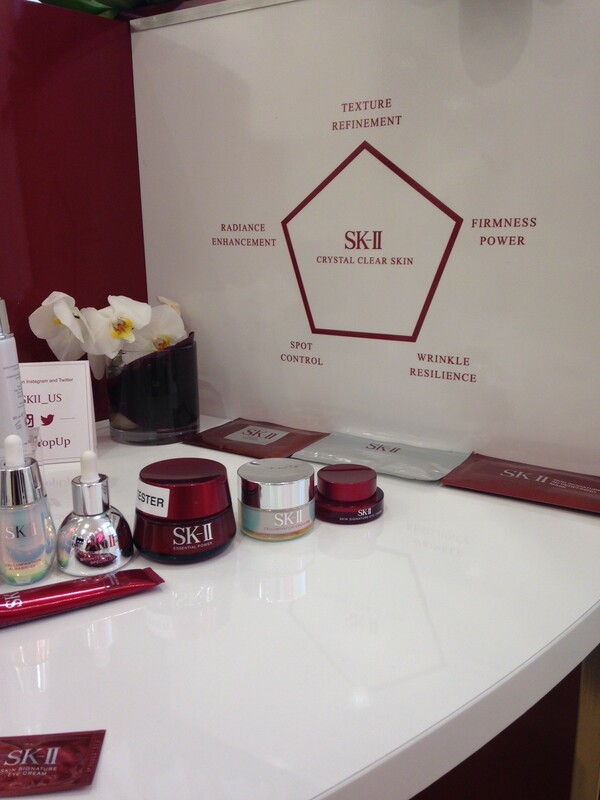 It wasn’t until recently that I’d heard of the Japanese skincare line SK-II, via Cate Blanchett. How could you resist skincare endorsed by Cate Blanchett’s creamy visage? Girl’s gotta be doing something right. 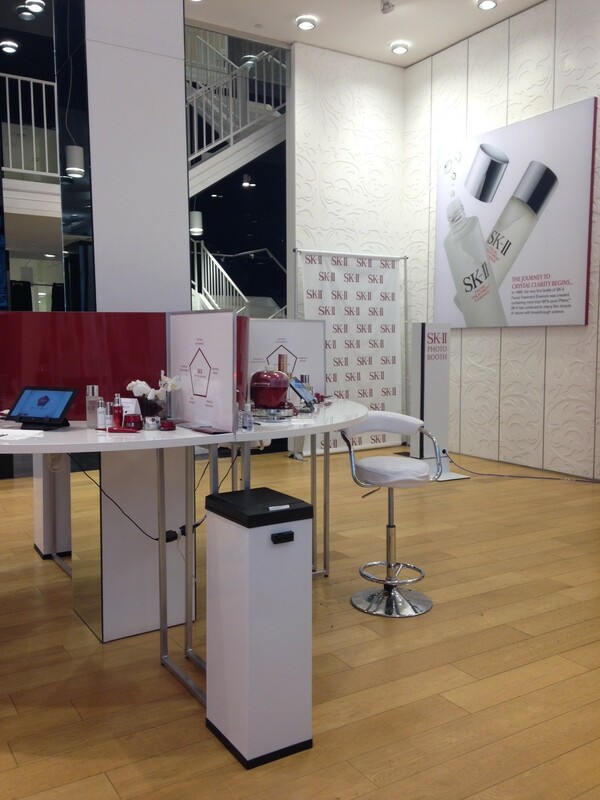 SK-II opened a pop-up studio in San Francisco where you can stop by and receive a complimentary digital skin analysis and try out their Facial Treatment Mask. I took one for the team (women everywhere) and stopped by to check it out after work Tuesday night. I was greeted at the door by a friendly SK-II skincare professional who offered me a beverage and took me to a have a seat at one of their stations. She asked what I like about my skin and what I’d like to improve. 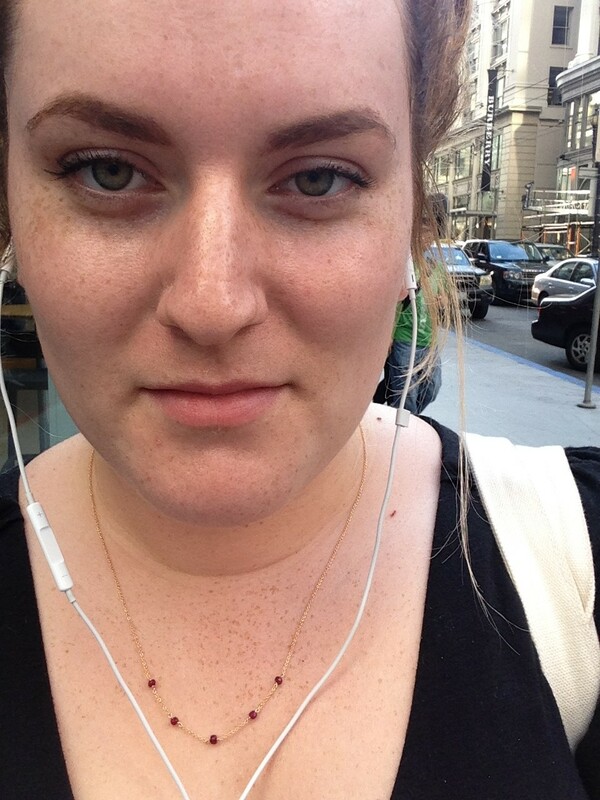 I told her that overall I’m pretty happy with my skin but would like to work on texture refinement and dryness. 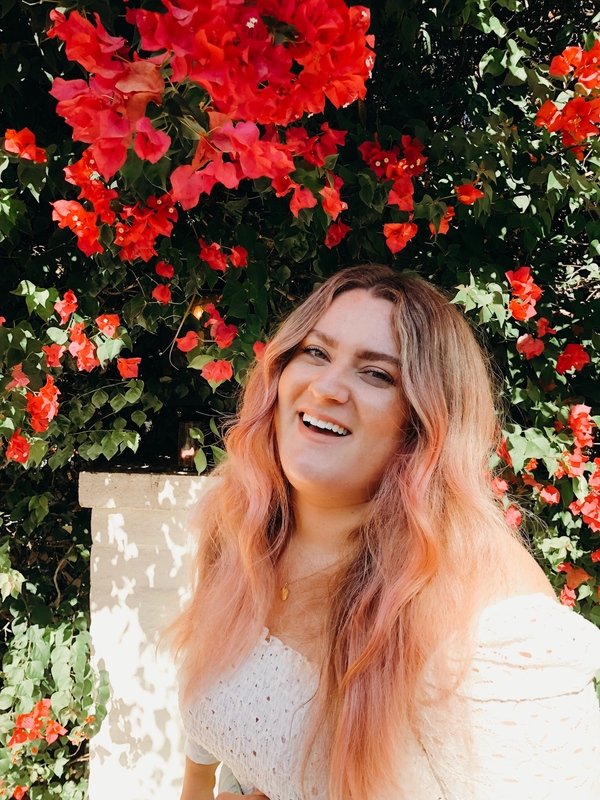 She recommended a few different products like the SK-II Facial Treatment Essence, which is a moisturizing facial treatment that you apply like a toner. The main ingredient in their products is Pitera. Derived from a strictly controlled natural fermentation process, Pitera is a clear liquid rich in vitamins, amino acids, minerals, and organic acids. This combination of nutrients work to dramatically improve the skin’s natural surface rejuvenation process. 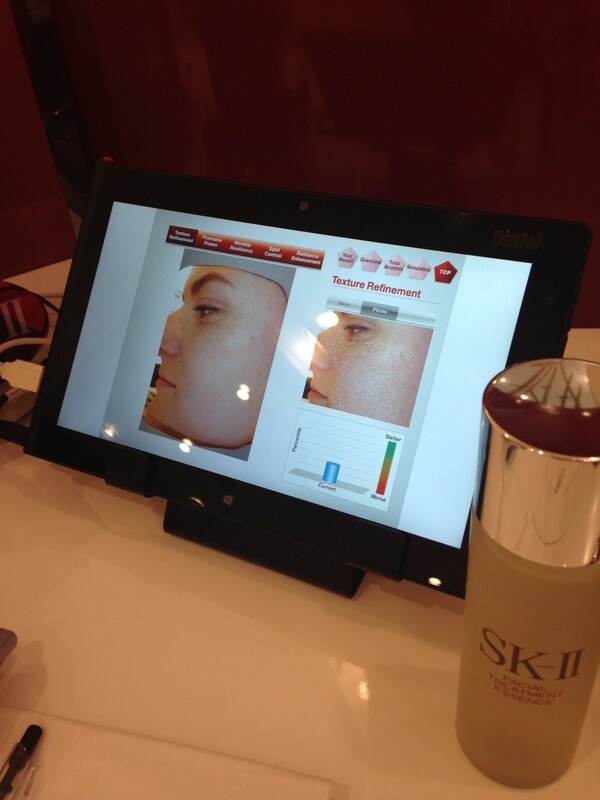 The coolest part of the whole experience was the digital skin consultation. She snapped an image of the left side of my face with her fancy camera. The left side statistically gets more sun/weather exposure (driving habits, etc.) than the right side, so there’s usually more damage. 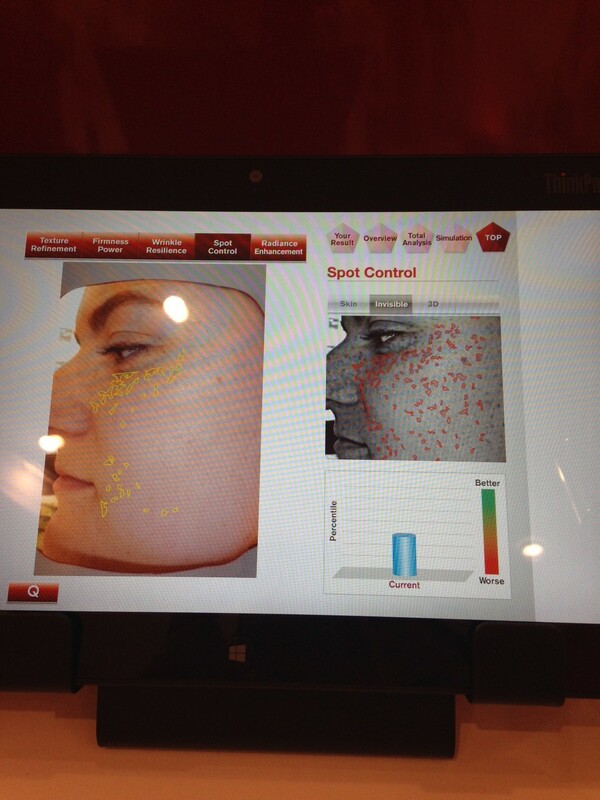 She pulled up my photo on her tablet and the computer analyzed my skin. Surprisingly, even though I’m only 23, the computer concluded that I had a “skin age” of 29! This was determined by a combination of factors such as skin hydration, sun damage, firmness, and prevalence of wrinkles. I was able to see both the visible and invisible sun damage on my skin, my visible and invisible pores, and micro-fissures where wrinkles were starting to form (scary!). The whole process was definitely enlightening and made me want to proactively care for my skin. 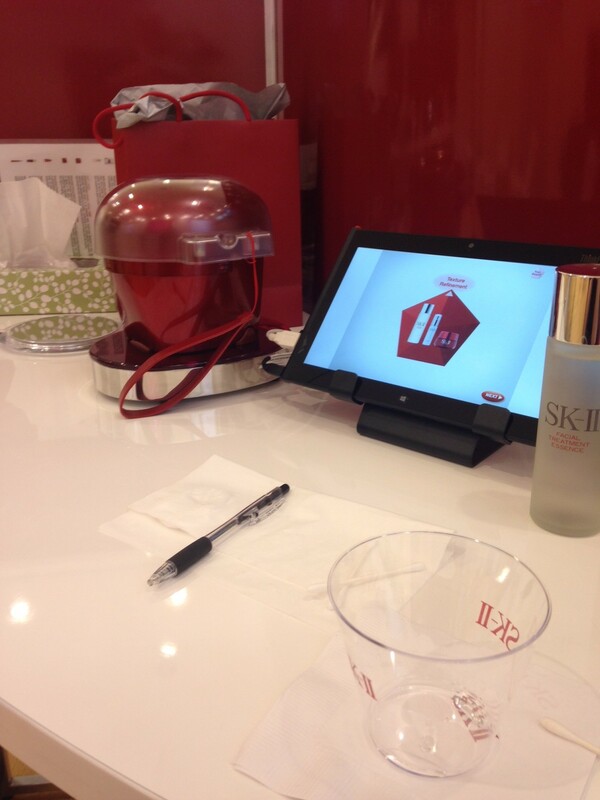 Lastly, I got to try SK-II’s Facial Treatment Mask, which is 30 days worth of Pitera essence in one treatment. It felt cold and wet on my face, which was a refreshing reprieve from the California heat wave we’ve been having this week. The mask makes you look like The Mummy, but at least I wasn’t the only woman there with one on! 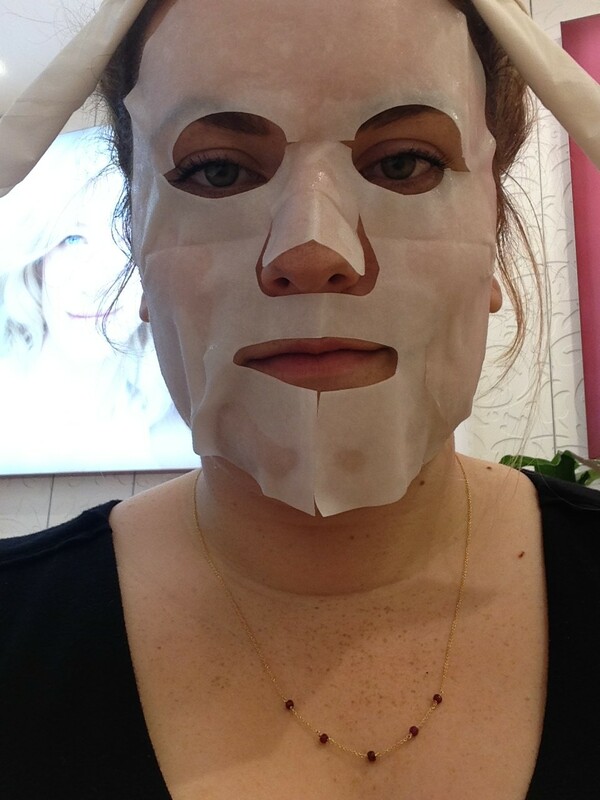 She removed the mask after 10 minutes and my skin instantly felt more refreshed. I even snapped this CUTE selfie after leaving (don’t mind the smudged eye makeup – this photo is not retouched…) to see for myself. I definitely felt my skin looked healthier and more radiant. These masks are very pricey for us twenty-somethings, but they’d be great to use before special occasions. The Japanese like to use these Facial Treatment Masks as a bridal skincare ritual 90 days prior to the wedding day. Singing Satellites necklace by MJXL Jewelry. 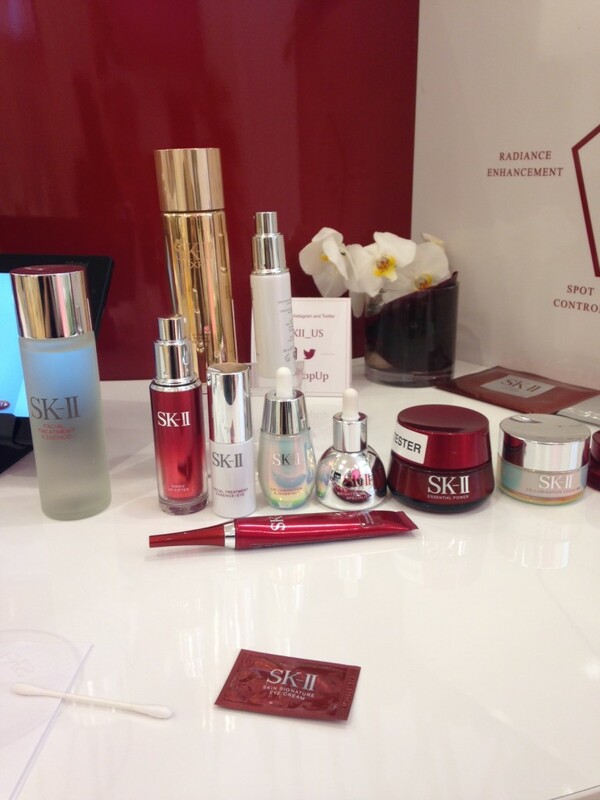 I also walked away with a goodie bag of free SK-II samples and a voucher for a free deluxe sample of their products at Sephora. Everything that they did was completely complimentary and free of charge. If you’re in the San Francisco area, you should definitely check it out! The pop-up studio runs until May 23rd, 2014. For more information, check out their website.